It’s been a while since we’ve looked at something obscure, and when I came across DynaMarisa 3D it seemed to be something that just had to be looked at – especially with an English patch available on the web. Released back in 2011 by Twilight Frontier, this Touhou game offers something a little different as it takes the EDF series as a template. 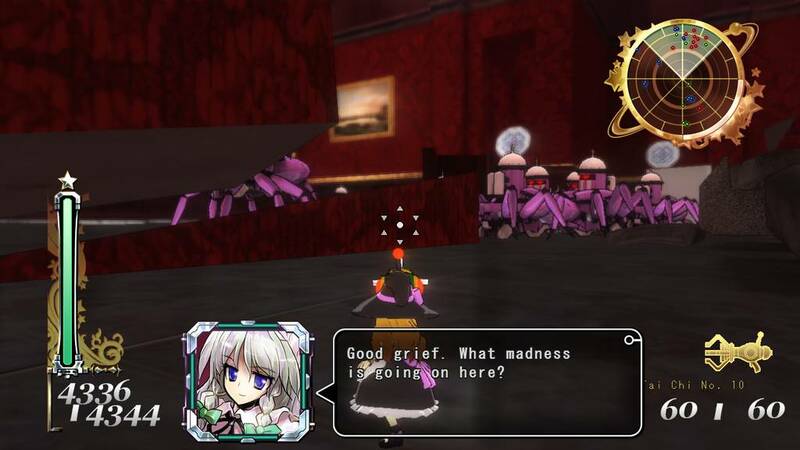 Does it do enough to stand out amongst the other Touhou games? Lets find out. 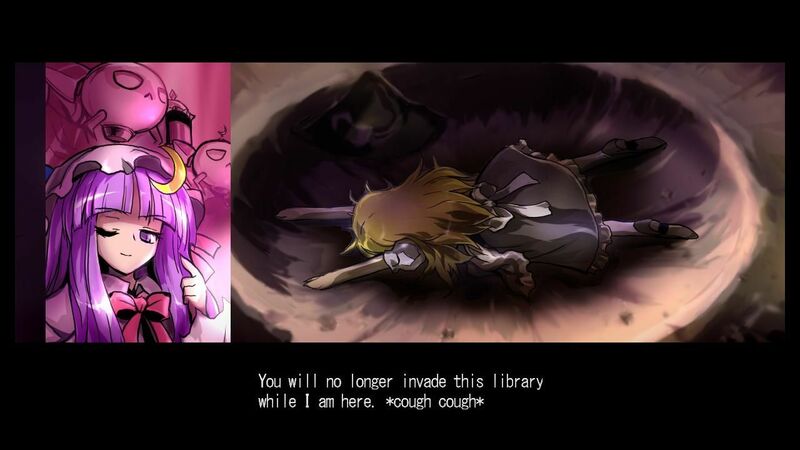 The game opens with Marisa Kirisame breaking into the Scarlet Devil Mansion’s library to borrow some of Patchouli Knowledge’s books. Whilst it’s something she usually gets away with, this time she is caught off guard and promptly surround by fairies & robots under Patchouli’s control. 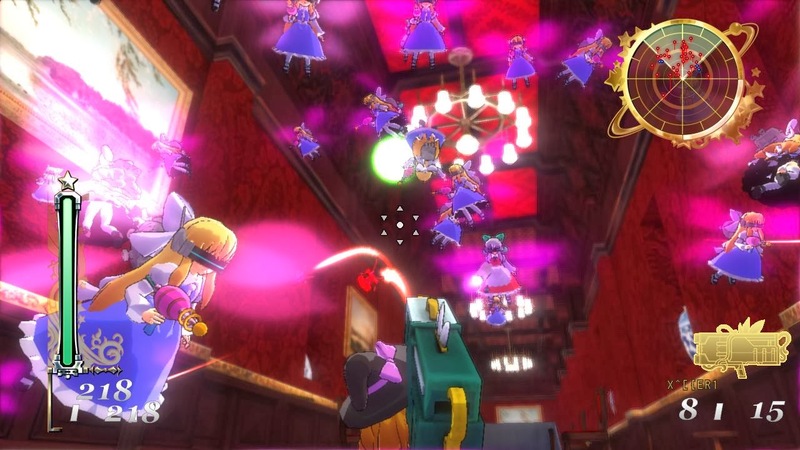 Patchouli’s minions open fire and promptly drive Marisa Kirisame away from the library, but not before revenge is sworn. Marisa Kirisame prepares her own army of fairies, the Patchouli Defense Force, and heads back to the Scarlet Devil Mansion for a showdown. That overview above is pretty much the entire story. Its given to you upon the start of the game in a series of CG’s, and your going to have to be attentive during the game for more. During missions you’ll find plenty of dialogue between the characters that shuffles things along, but don’t be expecting a deep narrative. Like the series it parodies, the story pretty much exists to move things along for each mission you’ll take part in. There are only 26 missions in total though, and some can be finished in a matter of moments, so it’s not a game that will last you hours with an intriguing plot to beef out the runtime, instead it likes to get you into the action as fast as possible. Given the doujin nature of the game and its age, it’s hardly surprising to find that the graphical side of things isn’t mind blowing. It does look good for what it is though, with some good work done on the games models that makes the characters instantly recognisable. Taking a leaf straight from EDF’s book, the background appears heavily blurred with the foreground making the most of the HD resolution. Luckily there’s a decent amount of variety to stages once past the first few missions, and the somewhat destructible aspect of some environments is a nice touch as you lay waste to everything in front of you. With the specs requiring only a Core2Duo & DX9c GPU, even systems several years old and low power devices (laptop, Tablet etc) should be able to get decent performance – if not there are a couple of settings to tweak in the options. Unfortunately resolution doesn’t seem to be one, with the game locked at 720, and no option to increase could be found when searching through ini files. Surprisingly the game offers a stereoscopic 3D option. Going through the store page for the game will have you thinking it will be of the frame-packing variety found on modern games & 3D Bluray, but that doesn’t seem to be the case – or at least it wouldn’t work that way for me. 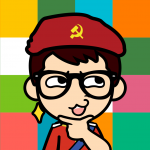 Instead we get Anaglyph 3D. It’s a decent enough addition, foreground has some good dimensionality, but the background depth is lacking due to heavy filter applied. As most will know that have a passing interest at least in the Touhou series, games come in a multitude of sizes & flavours. For the most part there’s a few genres the games tend to stick with, and that is why this one caught my eye. You’ve heard of that Earth Defense Force series? If so then that forms the template for this Touhou parody of that series. DynaMaria plays almost identically, even the Ui & Menu’s have an EDF feel, with tonnes of enemies heading your way that you need to send packing. As you would expect, the random loot drops make an appearance here too and the various difficulty options offer different scales of loot. The game keeps things interesting at first due to the new universe offering a whole new set to weapons to try and mods to sample, with some amusing boss battles. You start with a simple weapon that fires magic infused bullets, which then makes way for magic beams etc alongside explosive type weapons. Unfortunately the repetition does eventually catch up with the game. Lacking the variety of classes etc offered in newer EDF releases, here you’re left with just the one way to play. The fun lasts long enough to get to the end of the game, but with no multiplayer either there isn’t much of a reason to regularly come back – unless the allure of collecting every weapon on offer is of interest. 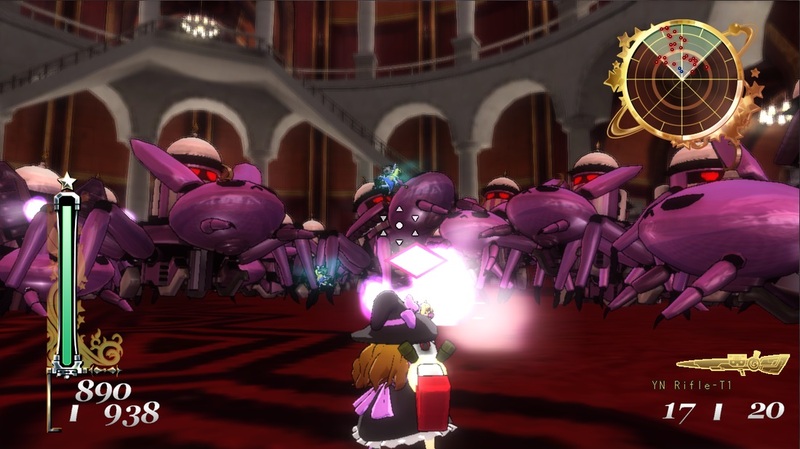 DynaMarisa 3D is pretty much EDF with a Touhou reskin. As a fan of the bug hunting franchise, I found DynaMaria to be a good little distraction. Unfortunately it also suffers from the same issues, repetition mainly, with only 26 missions & a lack of multiplayer hurting replayability a tad. 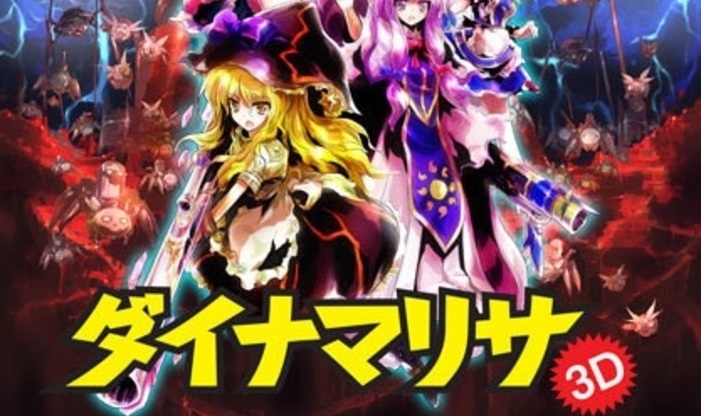 To be honest though, these could be overlooked easily enough by Touhou fans looking for a game that’s a little different to the usual genres the franchise is known for.